A number of our products contain tea tree oil, a fresh and fragrant essential oil that delivers more than just a nice smell! In this blog, we have a closer look at tea tree oil, and also explore which products in our range contain it. Tea tree oil comes from the Melaleuca alternifolia plant, a plant that’s most commonly found in Australia and New Zealand. It’s actually the leaves of this particular plant that contain the oil. Australian Aborigines traditionally used the leaves of the Melaleuca alternifolia plant to aid skin conditions. Move forward a few years, and this plant is now commercially grown for its oil, which can be used as an antiseptic and also has antibacterial and antifungal properties. Despite the word ‘tea’ appearing in this essential oil’s name, it should not be drunk or ingested- it can be used topically, typically in creams and sprays. Which Equimins products contain tea tree oil? 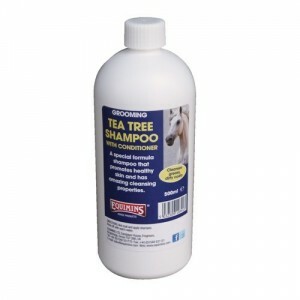 Tea Tree Shampoo is a specially formulated shampoo, which also contains a conditioner, and has been created to give the coat a really thorough clean as it helps to support healthy skin. Find out more here. Tea Tree Mist is ideal for first aid kits as it can be used on minor cuts and burns, and also for the maintenance of healthy skin. It can be used to help cases of fungal infection, ringworm, thrush, greasy heel and cankers. It can be used as part of a hoof care regime too. Find out more here. MSM Cream is soothing and antibacterial and contains tea tree oil in addition to MSM, aloe vera, zinc, castor oil and other essential oils. 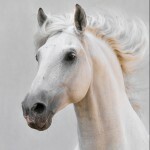 It can be used to aid hair regrowth, as a barrier in muddy conditions and to soothe minor skin conditions. Find out more here. 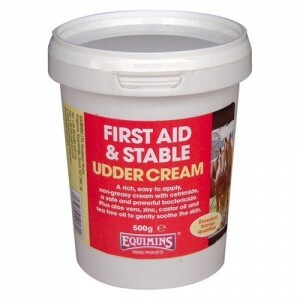 Udder Cream is a soft, easy to apply cream that makes a great barrier in muddy conditions. It contains cetrimide, aloe vera, zinc and castor oil in addition to tea tree. Find out more here. Udder Ointment contains a number of the same ingredients as Udder Cream but, instead of being a water based cream, it has a rich lanolin base. Find out more here. Biting Midge Cream helps to repel biting insects and soothe the skin, with help from a host of ingredients, including tea tree oil, chamomile oil and apricot oil. Find out more here. 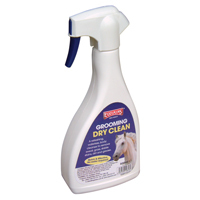 Dry Clean Waterless Body Wash is a great way to clean the horse’s coat without water. It’s ideal for cleaning all year round, particularly when time is tight or the weather isn’t being all that helpful! It contains tea tree oil in addition to a range of other ingredients. Find out more here. Clean Coat is a cooling and refreshing body wash that’s ideal for removing sweat and dirt after exercise…and doesn’t need rinsing! With tea tree oil, allantoin, witch hazel and spearmint, it smells pretty divine too. Find out more here.